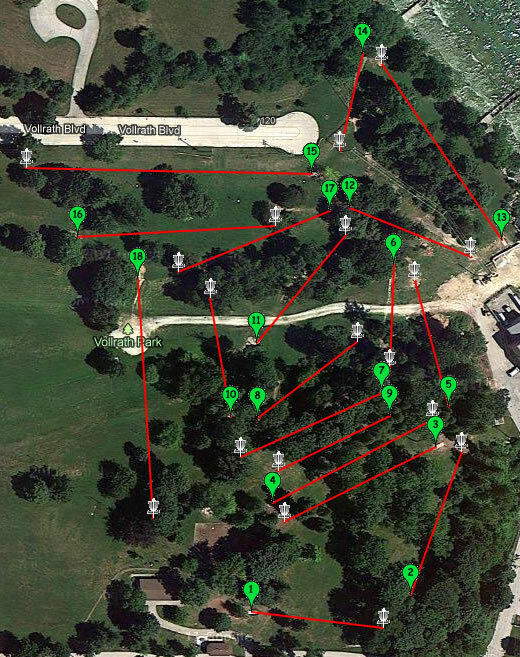 Mostly short holes on a wooded course with varying elevations and a few blind shots. Slippery if wet (steep hills). Water hazard along Lake Michigan. Pro shop. Course closed from Nov - May. I-43; exit #126, east on Hwy 23 (Erie Ave.) to a left on 4th St., then right on Park Ave., 2 blocks east to the park. Quite possibly the best course in Wisconsin! While none of the holes are long, the steep elevation changes, plentiful trees, and numerous blind tee shots make for a challenging and fun round. The listed pars seem a bit generous (200 yard par 4's and a 300 yard par 5? ), but it made my first time round of -4 seem more impressive than it was. My son and I traveled 50 miles from the Milwaukee area to play this lakefront course, and we both were in disc golf heaven. We will return often. Highly recommended, but not for beginners or the faint of heart. Expect steep climbs and drops, and stunning views. The pro shop has a great selection of discs, and was very friendly and helpful. A course map/scorecard was given. The map was helpful, as signage alone didn't always pinpoint the next tee.